Very quiet location next to the castle, old building with cob walls but modern coveniences like dishwasher, ceran stove, fridge with freezer compartment. The sauna is in the large bathroom. Feel free to have a barbecue on the garden patio. Details of the apartment: 72m² can accommodate up to 5 people. Next to the fully equipped kitchen (dishwasher, electric stove, fridge incl. freezer), there are two bedrooms and a sofa bed in the living room. For toddlers we have a portacrib and a high chair. In the living room you can find a SMART TV, radio incl. CD player and several games and books. The bathroom has a shower, WC, large sauna (2x2m) and a door leading you to the garden patio overlooking the castle forest. Exzellente und sehr gem&uuml;tliche Ferienwohnung und ein sehr freundlicher Vermieter. Exzellente und sehr gemütliche Ferienwohnung und ein sehr freundlicher Vermieter. Wir sind sehr begeistert gewesen von dieser Ferienwohnung! Die Lage und der dazugehörige Preis sind einfach unschlagbar! Die Vermieter sind sehr nett und helfen einem gern, wenn man Fragen hat. Die Ausstattung ist einfach, aber es ist alles da, was man benötigt. Und darüber hinaus gibt's auch noch die Sauna. Top! 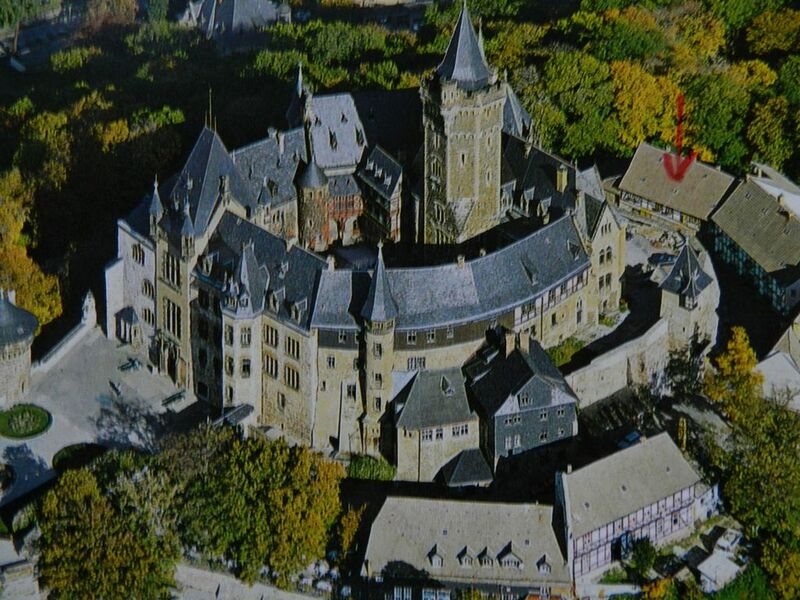 Wernigerode und Umgebung ist definitiv einen Besuch wert! Wir können es nur weiterempfehlen! Enjoy a holiday in romantic location right next to the castle! If you like exposed wood beams, old furniture and thick walls that guarantee a good indoor climate, enjoy a relaxed holiday "somewhere else". It is delightfully quite up here (what our guests keep telling us again and again). Still you can make it to the city centre of the beautiful old town of Wernigerode in about 12 min. Even when shops are closed, there is always something to explore. If you like hiking, you can just step outside the door to start several tours. A walk of 20 min. will lead you to the nice animal park "Christianental" or to playgrounds and green areas of the park "Lustgarten".